Nintendo has announced its lineup of free games for Nintendo Switch Online subscribers in November 2018. This month you get: Metroid, Mighty Bomb Jack, and TwinBee. 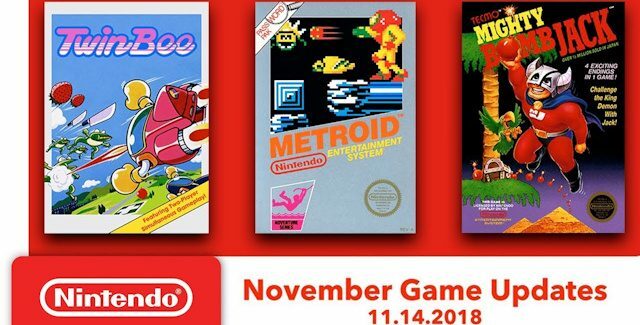 November 2018’s 3 Nintendo Switch Online NES games: On November 14th 2018, Metroid, Mighty Bomb Jack, and TwinBee will be available to play anytime and anywhere on Nintendo Entertainment System – Nintendo Switch Online.